you know how much I enjoy cooking and trying new recipes. My Grandma did, too, so I got it honest! 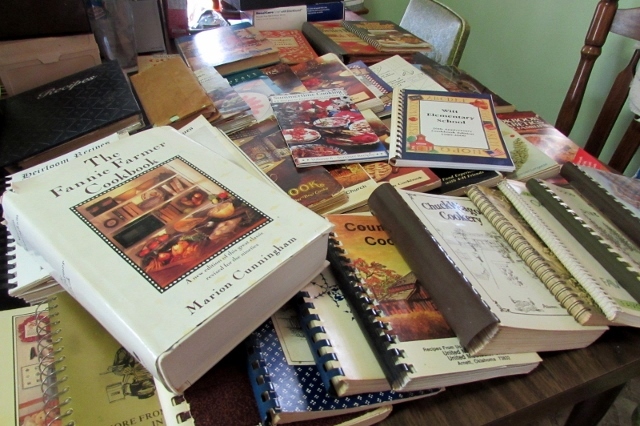 all the treasures in her home--which included many recipe books and recipe files. What you see above is only a small portion of her collection. and I have been trying to make one of her recipes each week for our family. 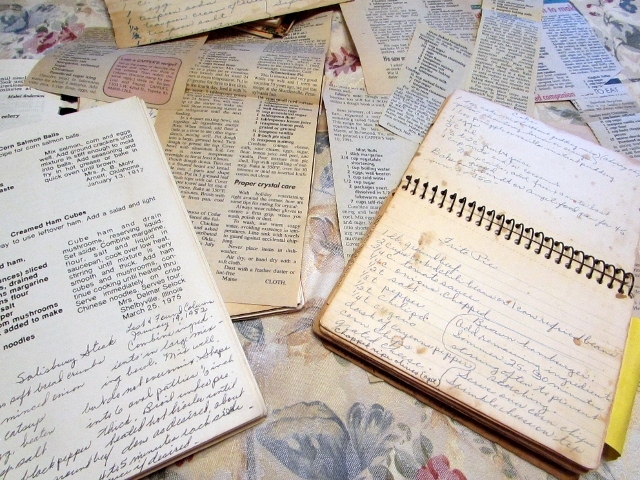 Grandma was a school cook for over 26 years and was known for her delicious meals and COOKIES! Click HERE for her Snickerdoodle Cookie Recipe.